HEIGHT SIZE:14CM/18CM/22CM, OTHER SIZE CAN BE AVAILABLE ON THE REQUEST. THE CARDBORAD PAPER CAN BE IN WHITE OR ANY OTHERS. 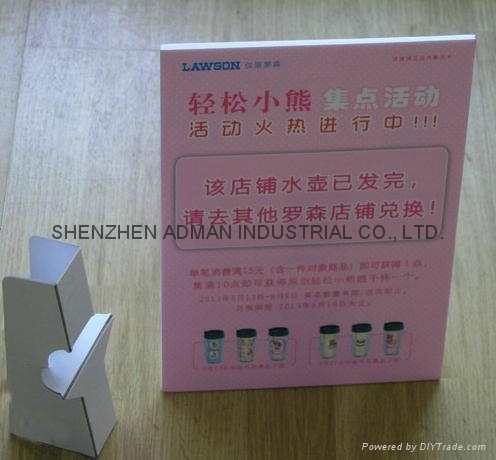 Specifications︰ USE FOR HOLDING OF DESK DISPLAY OF ADVERTISEMENT. 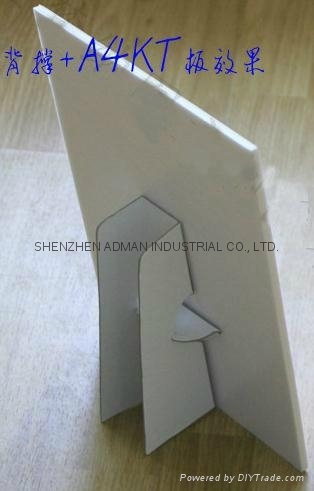 MADE OF CARBORAD,EASY TO FOLD AND SHAPE, TO HOLD THE KT BOARD ADVERTISEMENT. 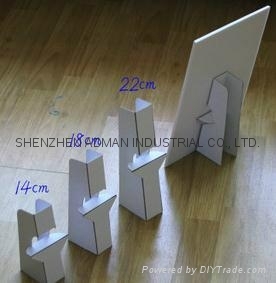 STANDARD HEIGHT WILL BE 14CM/18CM/22CM BUT CAN BE MADE THE DIFFERENTS ON YOUR NEEDS.